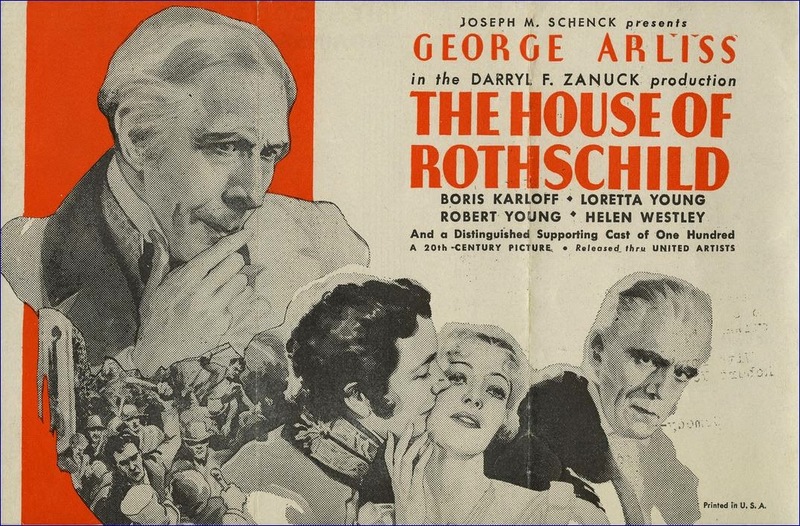 The story of the rise of the Rothschild financial empire founded by Mayer Rothschild and continued by his five sons. From humble beginnings the business grows and helps to finance the war against Napoleon, but it’s not always easy, especially because of the prejudices against Jews. What is amazing about this case is the amount of money involved, totaling $9.5 trillion US dollars, in fact the entire GNP of the United States for several years. Sundquist and Songstad, wanted $30 billion out of the proceeds to pay themselves along with congress, the US Treasury Department, 5 Supreme Court justices and two former US presidents. The recording was forwarded to the US Department of Justice yesterday and a copy presented to President Obama. During the 1980s, Lee Wanta was brought into the White House as the first National Intelligence Coordinator. He was tasked by President Reagan and CIA Director William Colby to destabilize the Soviet Union through establishment, with funds from the US Treasury, of a worldwide currency trading scheme. In fact, a majority of members of congress including almost all Republicans and many Democrats were to receive shares of the Wanta “payoff.” What had angered so many of them and had precipitated the death threat is Wanta’s statement to all of them that he would file Federal Income Tax Form 1099’s to accompany all payments. This would identify, as required by law, where money went and what services were paid for. These are also politicians at the heart of the Israel lobby in Washington. Building on the previous chapter on the US’ tremendous and exponentially-increasing debt, this chapter looks at the shocking shortfall between our nation’s assets and its liabilities. In short, America is deeply insolvent. We’re just not admitting it yet. Perhaps not surprisingly, official statistics leave out our unfunded liabilities when calculating the net worth of the nation. Once these liabilities are added back in, America’s net worth plunges into the negative tens to hundreds of $trillions. In the last chapter we noted how our vast debts place an unfair and immoral burden on future generations, and realistically can and will never be pad off. Factoring in the unfunded liabilities just makes the situation beyond absurd. For those who simply don’t want to wait until the end of the year to view the entire new series, you can indulge your binge-watching craving by enrolling to PeakProsperity.com. The entire full new series, all 27 chapters of it, is available — now– to our enrolled users. And for those who have yet to view it, be sure to watch the ‘Accelerated’ Crash Course — the under-1-hour condensation of the new 4.5-hour series. It’s a great vehicle for introducing new eyes to this material. Can Sears Close 2,300 Stores? 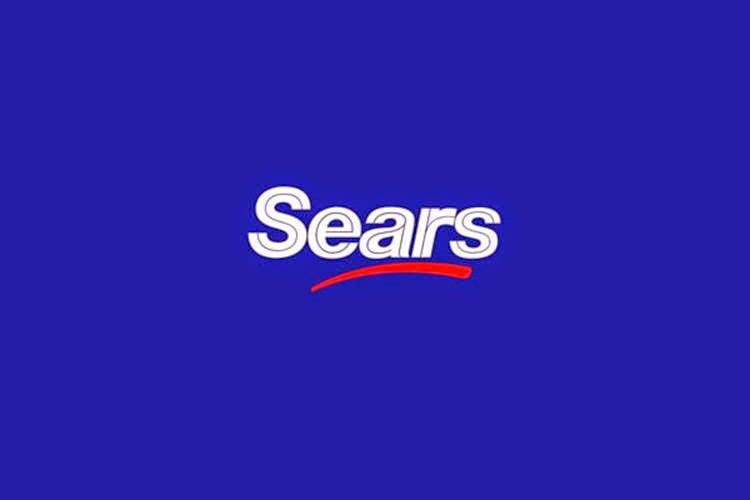 (Douglas A. McIntyre) In a widely publicized note to investors, Gary Balter of Credit Suisse said that it is best that Sears Holdings Corp. (NASDAQ: SHLD) close its Sears and Kmart locations while they, and the inventory they sell, still have value. Sears Holdings operates about 2,350 stories. Let’s face facts. Sears is generating negative operating cash flow of between $1 billion and $2 billion [closer to upper end, it looks like] in 2014. Unless it sells off real assets while somehow maintaining the cash flow from those assets, this story is not likely to have a happy ending, and that ending continues to depend on suppliers. Experts on retail and cash flow wonder how long Sears and Kmart suppliers will ship products to the stores, due to fear they will not be paid. Sears chief Eddie Lampert, who is also a hedge fund manager, set a $400 million loan to the retailer. That is expected to be paid back soon, which is not practical, and it may not be enough to solve Sears’s problems as losses increase. Closing up to 2,300 stores and laying off what eventually could be 250,000 people would be immensely complex. Some stores operate under long-term leases. Others are owned by the company. Management would have to break these arrangements and sell property in places like malls, which have little value. Sears merchandise inventory at the end of last quarter was $6.4 billion, which given the company’s size is very little. The cost of severance could rise into hundreds of millions of dollars. Without a Chapter 11 filing, Sears would have no chance of cutting this cost. And a bankruptcy judge may insist the retailer cover these expenses ahead of those due to creditors. Sears Holdings eventually may liquidate itself, but it would involve one of the most complex set of maneuvers in the history of retail, all likely done with a judge looking over management’s shoulder. Posted on September 19, 2014 by webmaster This entry was posted in Economic. Bookmark the permalink. The bill passed 319 to 108 with four members not voting. But there were not enough Republican members to pass the bill without significant support from Democrats. While Pelosi sided with the Republican leadership and voted for the bill, 53 Republicans joined with 55 Democrats in voting against it. In addition to Pelosi, some of the other Democrats voting for the Republican leadership’s bill, included Rep. John Conyers (D.-Mich.), Rep. Debbie Wasserman Schlultz (D.-Fla.), Rep. Xavier Becerra (D.-Calif.), Rep. Earl Blumenauer (D.-Ore.), and Rep. Jan Schakowsky (D.-Ill.). Rep. Louie Gohmert (R.-Texas), Rep. Michele Bachmann (R.-Minn.), Rep. Trey Gowdy (R.-S.C.), Rep. John Fleming (R.-La. ), Rep. Jim Jordan (R.-Ohio), and Rep. Dana Rohrabacher (R.-Calif.) were among the Republicans who voted against it. The Syrian opposition, which is seeking to overthrow the secular authoritarian regime of Bashar al Assad, includes al Nusrah Front, the al Qaeda affiliate in Syria, and the Islamic State in Iraq and al Sham (ISIS), which used to be an al Qaeda affiliate and now controls parts of Iraq and Syria. ISIS recently beheaded two American journalists and a British aid worker. The training and arming of Syrian rebels is aimed at combating ISIS and Islamist terrorism, so ISIS and al Nusrah Front would not be among the Syrian rebels deliberately armed and trained by the new U.S. policy authorized by this bill. The bill will fund the government through Dec. 11, when a “lame-duck” Congress, which will include members thrown out by the voters in November, will be able to return to Washington and vote for programs and governmental actions that they may not have wanted to vote for before the election. That new funding bill will also be passed before the newly elected members of Congress will be sworn in and have a say in what the government does. Before the inclusion of the amendment to train and arm revolutionaries in Syria, the House Appropriations Committee had described the continuing resolution as a “clean” bill that did not include riders affecting current spending programs and policies. The committee affirmed to CNSNews.com last week that the bill does not prohibit funding for Planned Parenthood or for any element of Obamacare. Twenty-four minutes before it voted on this final spending bill, the House voted on the amendment sponsored by House Armed Services Chairman Buck McKeon (R.-Calif.) that added to the bill the authorization for President Obama to arm and train the Syrian revolutionaries. That amendment passed by a vote of 273 to 156, with 3 members not voting. Pelosi and Boehner joined together to vote for the amendment to arm and train Syrian revolutionaries, as did House Republican Leader Kevin McCarthy (R.-Calif) and House Republican Whip Steve Scalise (R.-La.). (CNSNews.com) – Inflation-adjusted federal tax revenues hit a record $2,663,426,000,000 for the first 11 months of the fiscal year this August, but the federal government still ran a $589,185,000,000 deficit during that time, according to the latest Monthly Treasury Statement. The largest share of the tax revenue so far this year has come from individual income taxes, which totaled $1,233,274,000,000 in the first 11 months of fiscal 2014. The rest of the receipts came from corporation income taxes totaling $247,200,000,000, employment and general retirement (off-budget) totaling $674,338,000,000, employment and general retirement (on-budget) totaling $209,281,000,000, unemployment insurance totaling $54,591,000,000, other retirement receipts totaling $3,155,000,000, excise taxes totaling $73,051,000,000, estate and gift taxes totaling $17,702,000,000, customs duties totaling $30,902,000,000 and miscellaneous receipts totaling $119,933,000,000. In constant 2014 dollars, the $2,663,426,000,000 that the federal government collected from October through August in fiscal year 2014 was $134,705,540,000 more than the $2,528,720,460,000 it collected in October through August in fiscal year 2013. The Treasury has been tracking this data since 1977, and at that time, the federal government collected $1,262,469,450,000 in inflation-adjusted revenue in the first 11 months of fiscal 1977. This means that since then, revenues have more than doubled, increasing by 111 percent. After the current fiscal year, the second highest federal tax intake in the first 11 months of a fiscal year occurred in the first 11 months of fiscal 2007, when the government collected $2,622,537,950,000 in 2014 dollars – or $40,888,050,000 less than in the first 11 months of this fiscal year. The first half of fiscal 2007 ran from Oct. 1, 2006 through March 31, 2007. The last recession hit in December 2007 and ended in June 2009. Although the federal government brought in a record of approximately $2,663,426,000,000 in revenue in the first 11 months of fiscal 2014, according to the Treasury, it also spent approximately $3,252,611,000,000, leaving a deficit of approximately $589,185,000,000. CNSNews.com is not funded by the government like NPR. CNSNews.com is not funded by the government like PBS. States must follow North Dakota’s lead now, or die to become an impoverished hulk of rubble. The Fed’s bizarre new rules transfer power from the public sector, once again. The Federal regulators adopted a new rule that requires the country’s largest banks – those with $250 billion or more in total assets – to hold an increased level of newly defined “high quality liquid assets” (HQLA) in order to meet a potential run on the bank during a credit crisis. In addition to U.S. Treasury securities and other instruments backed by the full faith and credit of the U.S. government (agency debt), the regulators have included some dubious instruments while shunning others with a higher safety profile. Bizarrely, the Fed and its regulatory siblings included investment grade corporate bonds, the majority of which do not trade on an exchange, and more stunningly, stocks in the Russell 1000, as meeting the definition of high quality liquid assets, while excluding all municipal bonds – even general obligation municipal bonds from states with a far higher credit standing and safety profile than BBB-rated corporate bonds. This, rightfully, has state treasurers in an uproar. 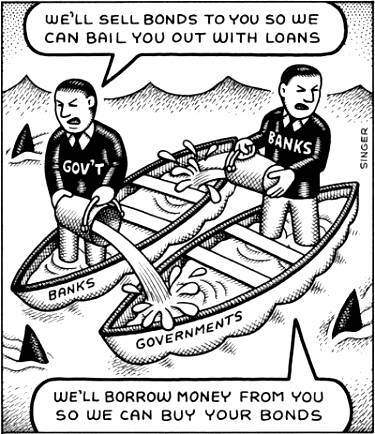 The five largest Wall Street banks control the majority of deposits in the country. By disqualifying municipal bonds from the category of liquid assets, the biggest banks are likely to trim back their holdings in munis which could raise the cost or limit the ability for states, counties, cities and school districts to issue muni bonds to build schools, roads, bridges and other infrastructure needs. This is a particularly strange position for a Fed that is worried about subpar economic growth. Here is the quote that perfectly captures our era: “People of privilege will always risk their complete destruction rather than surrender any material part of their advantage.” (John Kenneth Galbraith) The trick, of course, is to mask the unspoken second half of of that statement: everybody else gets destroyed along with the Elites when the system implodes. Union pension funds: toast. Government employees’ pension funds: toast. 401Ks: toast. IRAs: toast. The echo-bubble in housing: toast. The Fed’s favorite PR cover to cloak the enrichment of their financier cronies, the wealth effect:toast. That’s rich, considering that the Elites’ primary tool of avoiding destruction is crippling the market’s self-healing immune system: price discovery. Thanks to ceaseless interventions by central banks, the price discovery mechanism has been shattered: want to know the price of risk? It’s near-zero. Yield on sovereign bonds? Near-zero. And so on. 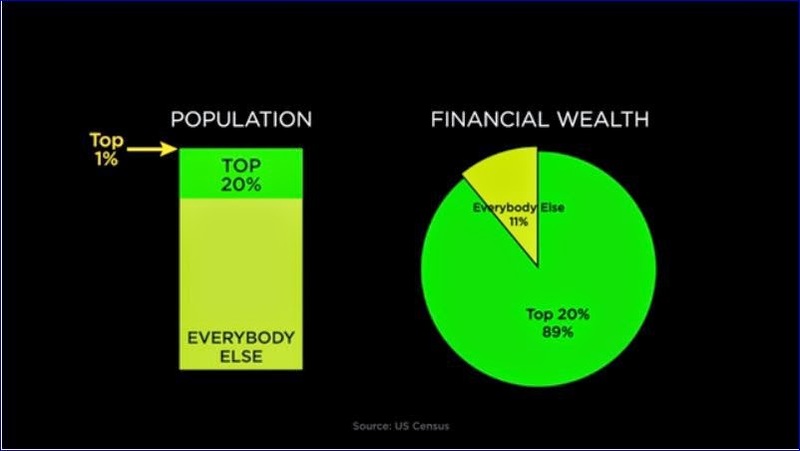 In this 24 minute video Gordon T. Long and Charles Hugh Smith discuss through the aid of 17 slides the rapid advancement of Crony Capitalism in America. The facts are undeniable, but why is it becoming so obvious and undeniable? Why is it accelerating without any apparent ‘checks and balances’? Where have the safeguards against this happening gone? On The Brink Of A Major Crisis: "This Will Be A Literal Collapse of the Entire Global Monetary System"
Providing the conspirators can perpetuate conflicts amongst the klans of their subjects, and deflected away from themselves, the danger of a “people’s justice” befalling to themselves shall be repulsed. Things are going swimmingly for them to now. 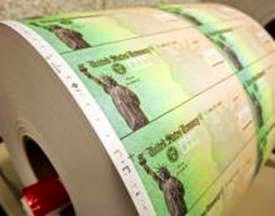 Discussions of the possible collapse of the U.S. dollar often center around how such an event will affect the domestic economy. But the dollar doesn’t just operate inside of a bubble. It is the world’s reserve currency for a reason. Some sixty-six countries world-wide either utilize it as their primary currency or peg their own currencies to its exchange rate. What this means, as noted by Future Money Trends in the micro documentary below, is that if and when the dollar does come under attack the fallout will be everywhere. The collapse will happen simultaneously and affect billions of people worldwide. 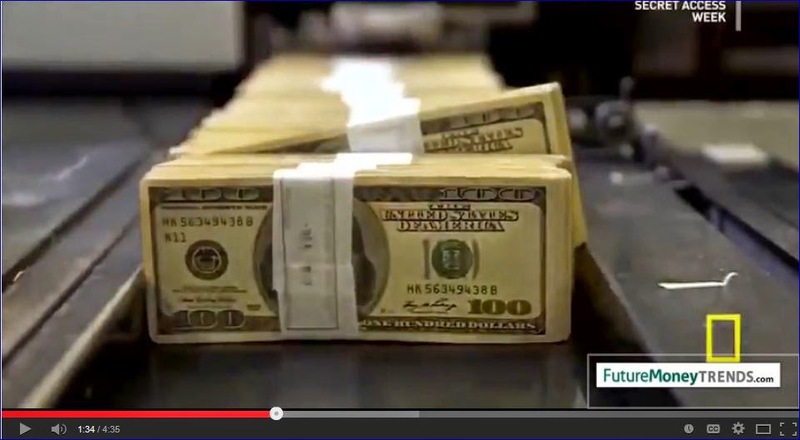 This is 33% of the nations of the world all submitting their currency sovereignty to the US Federal Reserve. 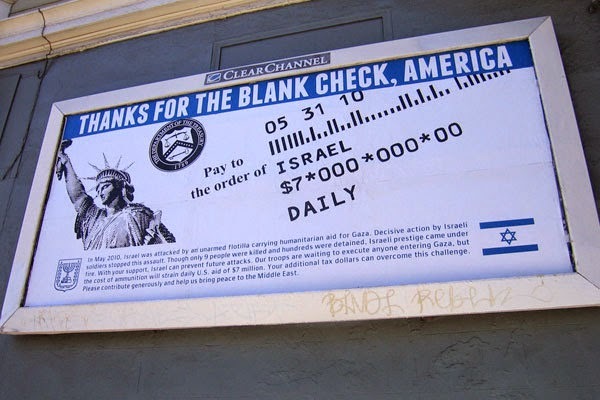 If and when the U.S. loses its currency status this will be a literal collapse of the entire global monetary system… A system that is built on lies, fraud and theft. 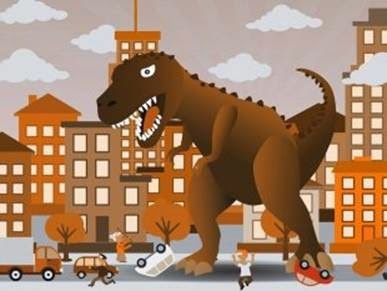 As you might have guessed, when the game is finally up it will wreak havoc across global economies, financial markets and monetary systems. Should that ever happen, those who have failed to exchange their fiat currencies for physical goods of some sort are going to have a rude awakening. As preparation for a currency collapse of unprecedented magnitude, contrarian economists and analysts recommend acquiring physical assets ahead of time. Because after the ‘event,’ it will be too late for the majority, as their dollars become nearly worthless and the cost of essential goods like food and energy skyrocket to nearly unnatainable levels as priced in dollars. We have seen it time and again throughout recent history. Germany’s Weimar Republic, Hungary, Zimbabwe and most recently Argentina, have all experienced currency collapses. And in all instances one asset has stood the test of time and become the currency of choice when traditional systems of commerce collapsed. Living in the heart of the Fiat bubble, Americans especially have forgotten about the one true currency. With the nation approaching nearly $20 trillion in national debt our entire system is built on a lie. But this lie affects the entire world because the US dollar is the world’s currency. The gold market has been so distorted by governments and central banks around the world that today in an environment of quantitative easing, trillion dollar annual deficits, and negative interest rates, you can exchange your Fiat currency for an ounce of gold for less than the cost a mining company takes to produce it. In 2013 all-in costs were $1620 per ounce, with an average price of $1411 per ounce. Recently gold has sold for less than $1300 an ounce. Physical demand is currently setting records, with most of the demand coming from the east. Soon, North America and the world will begin to accumulate gold. The world is on the brink of a major fiat currency crisis. The evidence for a continued downturn in the U.S. economy and further deterioration of the U.S. dollar is clear. The likely end result is a total collapse of Americans’ way of life. What is the dollar’s most likely future? Are you overly exposed to dollar denominated assets like your income, savings and the country you reside in? Can you envision a scenario where the world turns against the U.S. dollar? When it happens only those who own physical assets not dependent on the U.S. dollar will maintain any semblance of wealth. Everyone else will be, almost instantaneously, relegated to third world status.